In order to achieve this, we just made modifications to the local Capacitor project. This is fine, but we may also want to make the plugin a little more modular/portable so that we can reuse it in other projects easily, or allow the broader community to benefit from the plugin we have created. I will be jumping right into creating the plugin in this tutorial, but it will help to have some context. I would recommend that you read the previous tutorial to get an understanding of how Capacitor plugins works in more detail, and if you need help in setting up Capacitor in a new Ionic project. As with the last tutorial, this will require macOS and XCode to complete. The Capacitor CLI already ships with a convenient tool for generating Capacitor plugins. It can generate a template for you with some placeholder code and everything set up so that it can be easily built and published to NPM. IMPORTANT: This should be generated as its own standalone project. Do not create this inside of an existing Ionic/Capacitor project. Once you run this command, you will receive a series of prompts asking you to name your plugin, specify a license type, and so on. You do not have to answer all of these right away and can leave them blank if you like. If you open your new project you will find a few files and folders, including a src folder. This folder contains the TypeScript interfaces for your project, and they need to be set up correctly to reflect the API of your plugin. The basic idea is that we want to define an interface for our plugin, and then add that to the global PluginRegistry so that we can access it just like we access the default Capacitor plugins. Our plugin does not provide an echo method, it provides a method called getLastPhotoTaken that takes no arguments, so let’s modify that. You can also define a web interface for the plugin if you like, but we are just going to delete that for now. We are now going to use XCode to build our iOS plugin for Capacitor. Before working with XCode, we should make sure to install all the dependencies. Capacitor uses CocoaPods to manage dependencies, which is basically like npm for XCode. 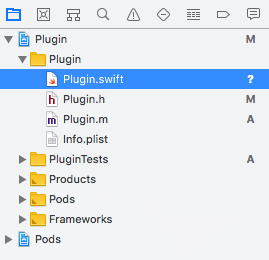 Once that has completed, we are going to open up the project in XCode using the Plugin.xcworkspace file. But we will need to modify that to include the functionality of our plugin. This is exactly the same as the previous tutorial, except we have renamed it to GetLatestPhoto instead of PluginTest. We will also need to modify the .m file to register the plugin. // each method the plugin supports using the CAP_PLUGIN_METHOD macro. inside of the ios/Plugin folder. 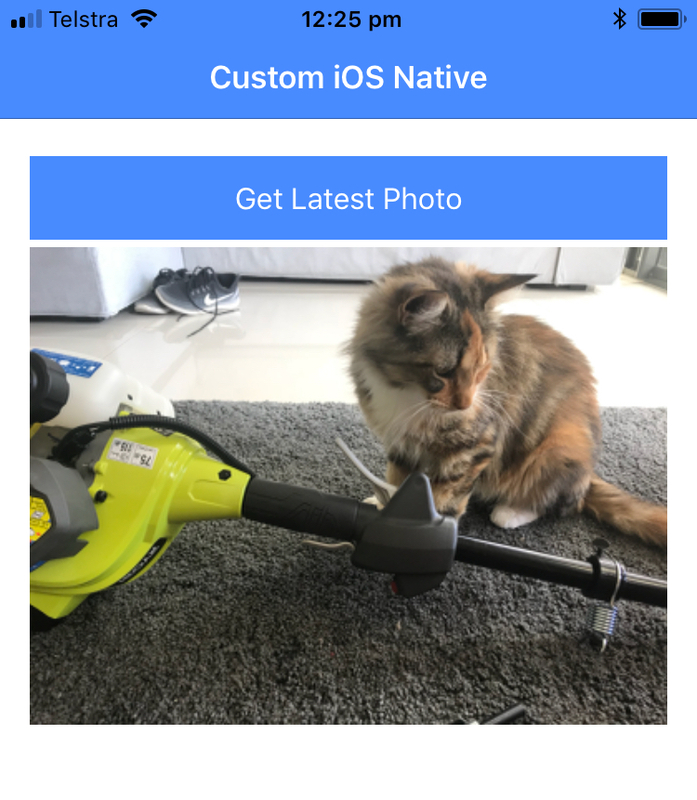 With relatively little effort, we have been able to create our own native plugin that can easily be added to any Ionic/Capacitor project. Building the plugin as its own NPM package will make it much easier to maintain and update across multiple projects, and the more people that publicly publish their Capacitor plugins the richer the Capacitor ecosystem will become.